Now my hand would shoot right up if anyone was to ask who eats more than their fair share of chocolatey and sugar food- I have a problem and I'll be the first to admit it! 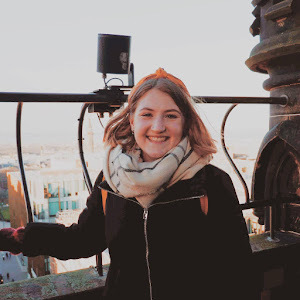 So this week's topic for the #teenblogseries came as a bit of a hard 'un for me, and thank goodness I spent the summer at home with my mum's cooking and baking or else I would have nothing to write. I'm being deadly serious- right now my diet is chicken nuggets and chips since I'm back to student living. 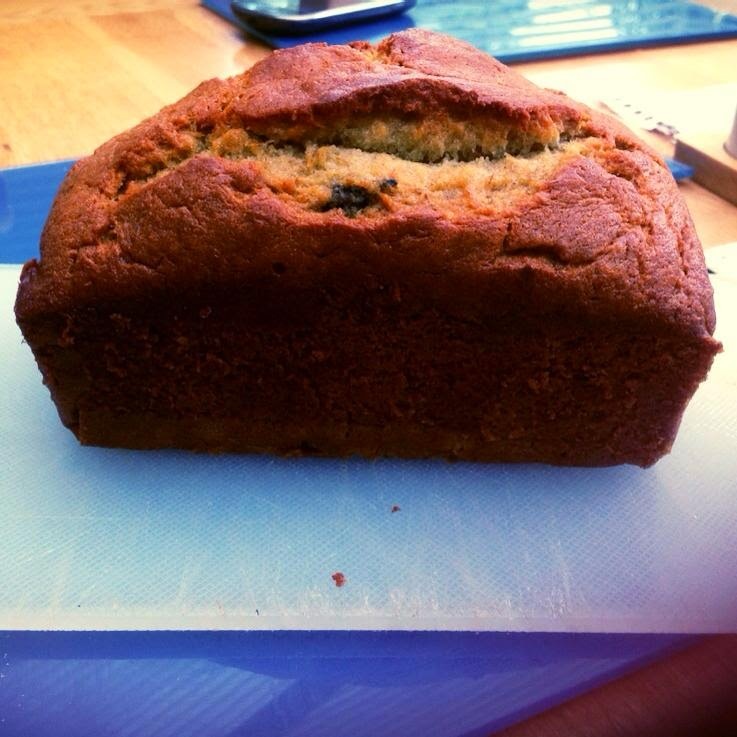 BUT my favourite home made treat made by yours truly, under the watchful eye of my mother, was Banana Bread. Okay so its not THE most healthy snack out there, but just the smell of it while it bakes is delicious and the fact so many bananas go into it, its worth it. Sift the flour, the bicarbonate of soda and the salt all into a large bowl. Separately, cream the butter and the sugar together. This should make a light and fluffy mixture. Add the 1/2 teaspoon of lemon juice to the milk and mix. Add this, along with the eggs, mashed up bananas and vanilla extract to the bowl with the butter and sugar mixture. Once you've mixed this all up, add the flour mixture too and mix in. Pour the finished mixture into a loaf tin (we use two 10 by 6 tins, but one large would work the same) which has been greased. Put it in the oven for about an hour- it should be well risen and look golden brown. Cool it in the tin for a couple of minutes, before removing and cooling on a rack. Banana bread is super easy to make and I find it a really good snack because it fills you up- I'll have a slice of it with butter mid morning and it'll do me till lunch time. Let me know in the comments if you have made it, or if you even try it out using this recipe- that would be pretty cool! AND let me know of other recipes you recommend- if you're here because of the Teen blog series send me a link to your post. I'm in need of both meal and snack recipes since I'm fending for myself now! 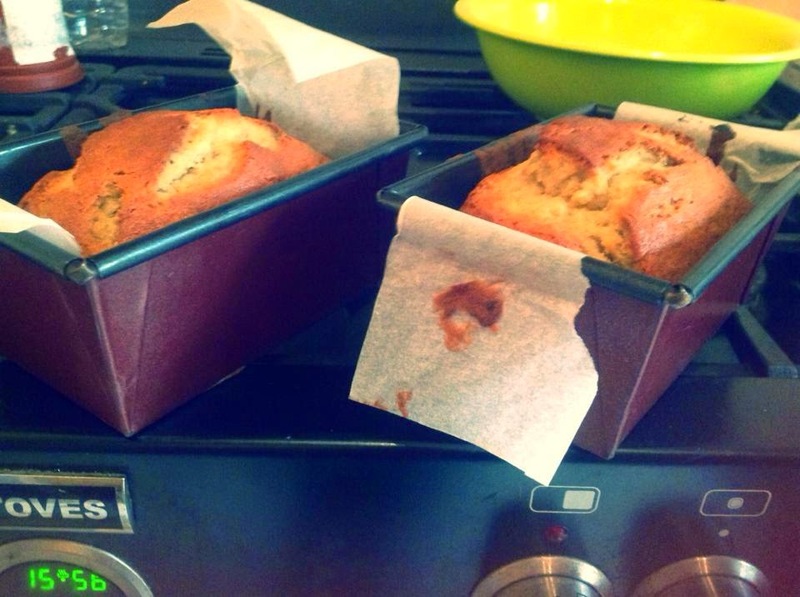 I LOVE banana bread, it's so delicious and yummy! I will definitely be trying your recipe! Let me know if you do! I love it too- and so do my family, so these loafs were gone in a couple of days haha! BANANA BREAD IS MY FAVORITE! Oooh this looks so delicious! I'll have to try making it with your recipe one day. Thank you, its one of my favourite things to snack on and super easy to make!